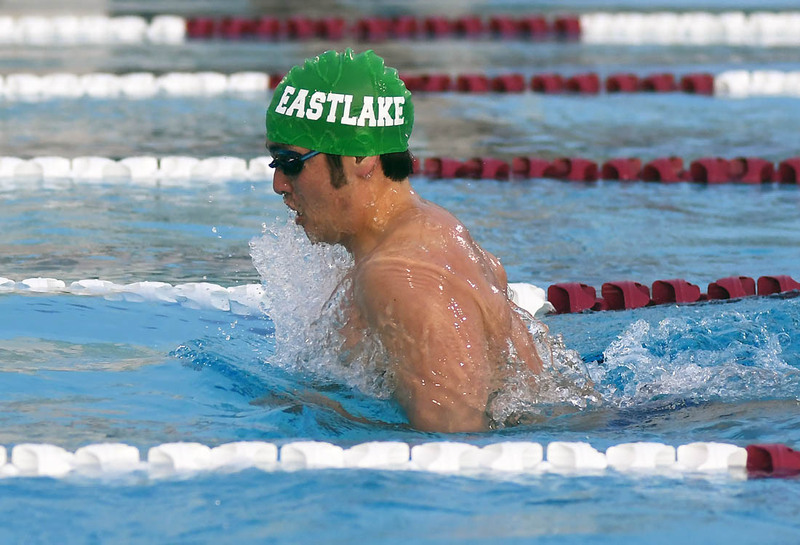 Eastlake High School held its inaugural alumni meet last Friday at Southwestern College. More than 20 alumni attended. One record was definitely set at last Friday’s meet. 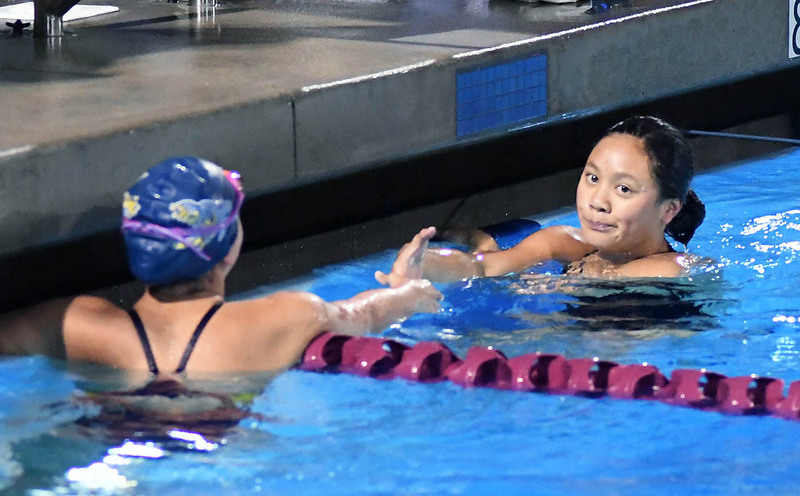 It came in the opening women’s 200-yard medley relay in which the quartet of Valerie Chin, Angelika Yngson, Paola Rivas and Elisabeth Lundgren eclipsed their own varsity school record set at the CIF finals. 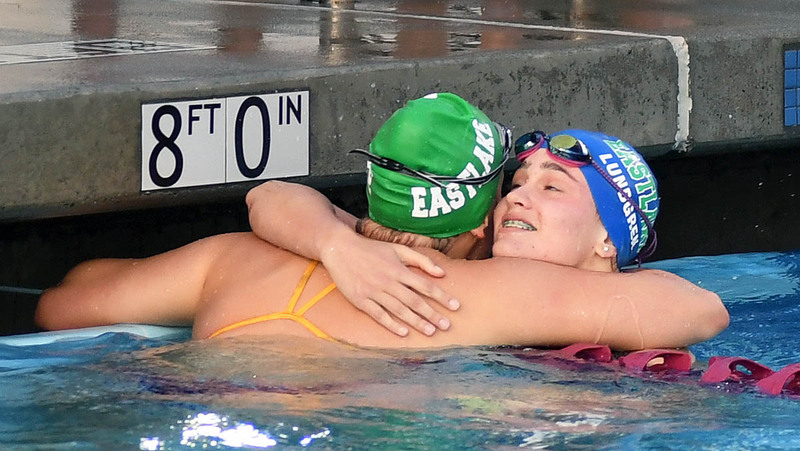 Indeed, competing at Eastlake proved to be a springboard for many swimmers to the next level. 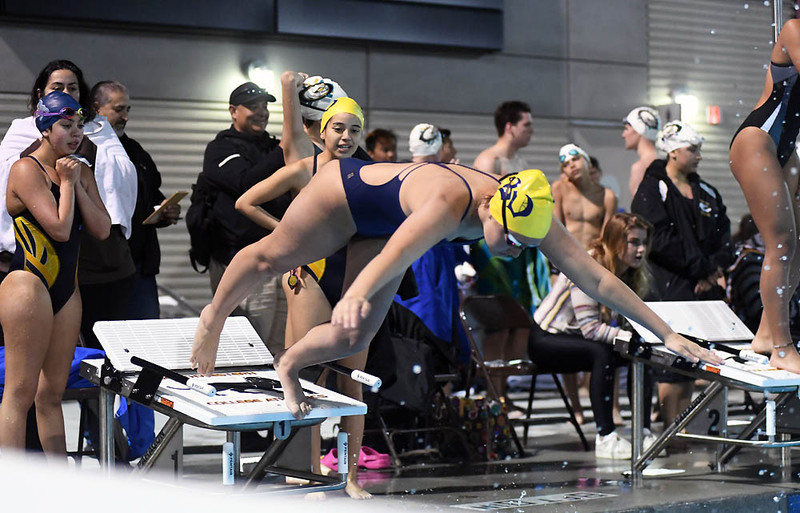 Lundgren, a 2018 EHS grad, set the freshman record in the 200 backstroke at UC Santa Cruz this season in 2:05.59. She placed third in the event at the PCSC championship meet. 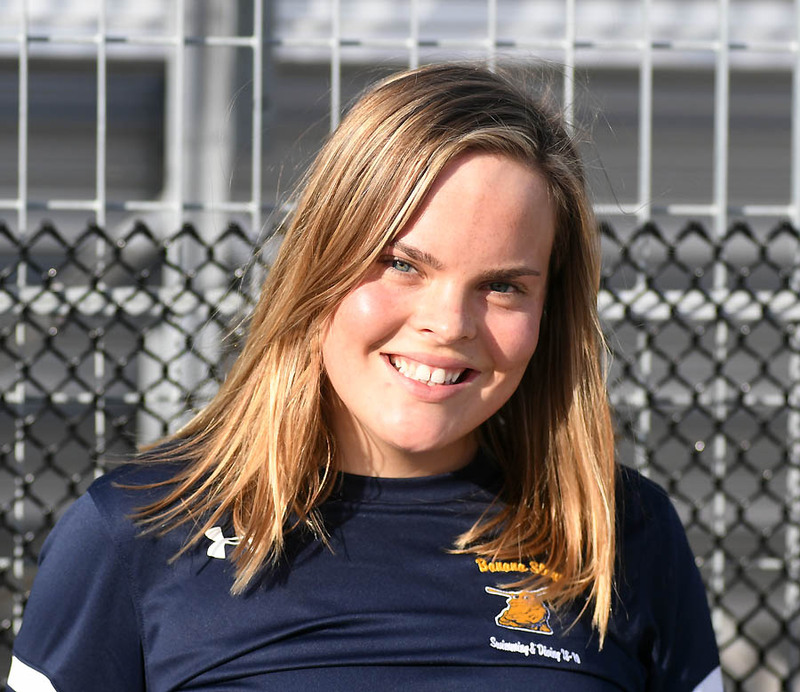 Lundgren, who has since handed the family torch to younger sister Emily on the Titans, served as a senior captain at Eastlake and was a team MVP and league champion in the 100 backstroke. 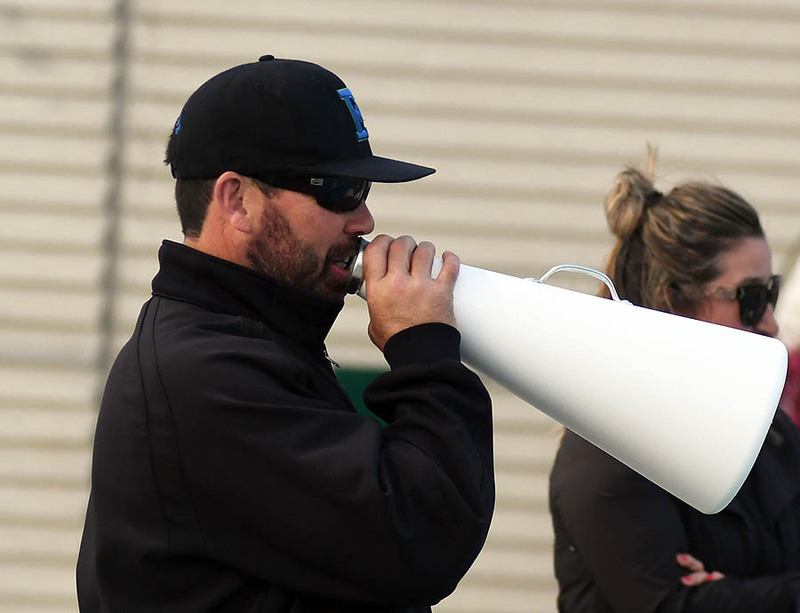 The EHS alum credited South Bay Aquatics head coach Tom Paradowski with helping her get recruited to Santa Cruz. 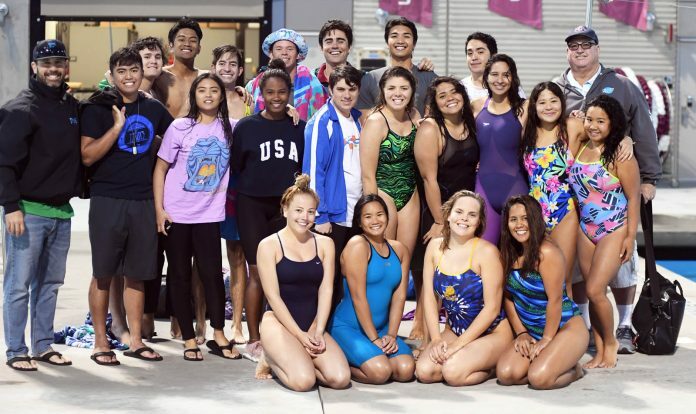 Paradowski, who has coached youth and high school swim teams in the area for the last 37 years, served as last Friday’s special guest alumni coach. Paradowski coached at Sweetwater High School and the National City Swim Club before coming on board SBA in 2001. He said he had probably coached “75 to 80 percent” of the alumni present at last Friday’s meet. The number might be somewhat on the low side. 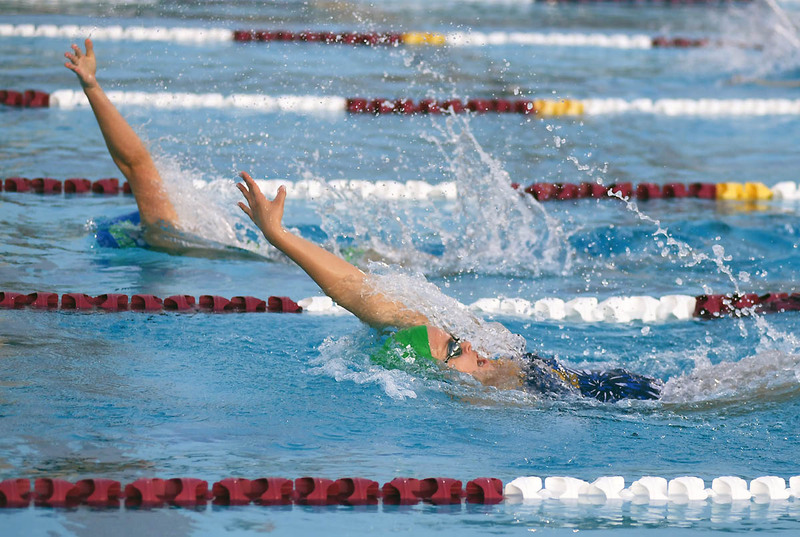 Elisabeth Lundgren swam 12 years for SBA, including five years under Paradowski’s tutelage. While the alumni competed for times, the Eastlake varsity team participated in a paced practice. 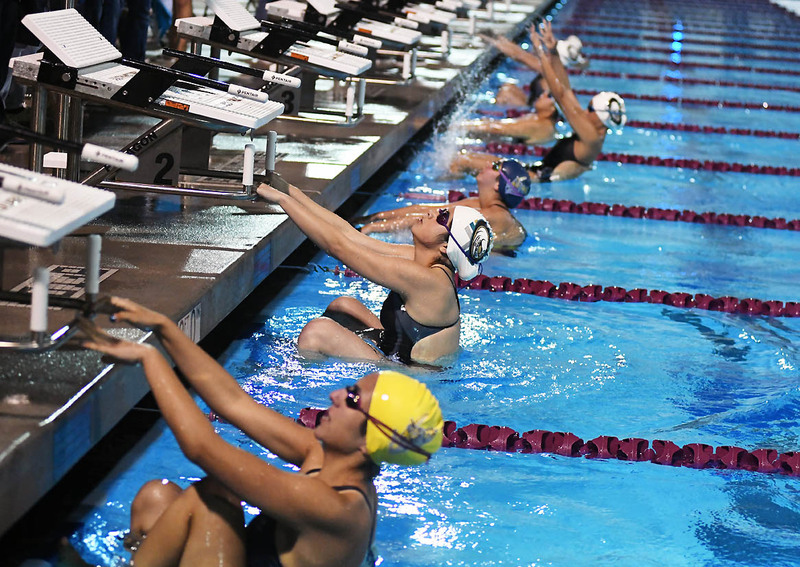 One of the quirks had both Lundgren sisters performing the 100 backstroke in adjacent lanes. The competitive spirit took over and Elisabeth out-touched her freshman sister at the wall. The reverse happened in the 50-yard distance. Both sisters hugged after competing. 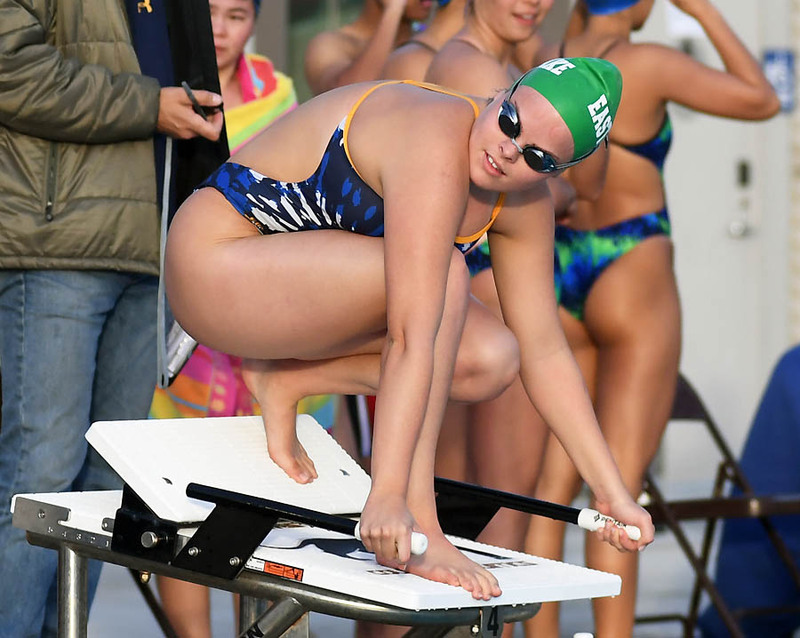 “I am so proud of all Emily has accomplished already and what still could be coming,” the current Santa Cruz standout swimmer said. 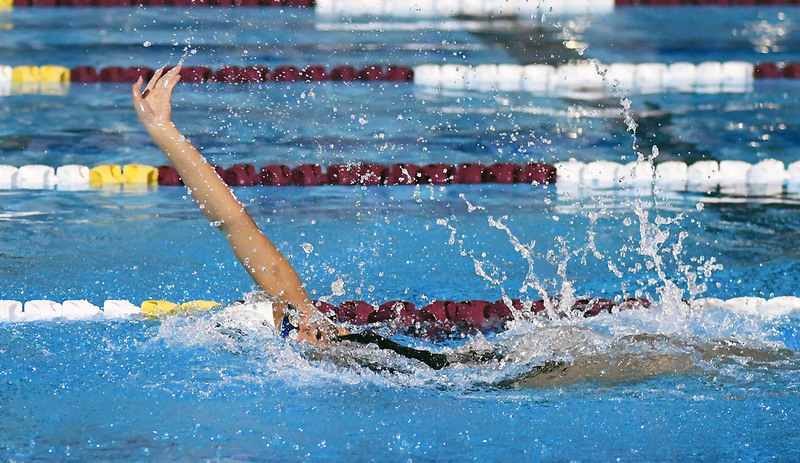 Randazzo began swimming at age 9. 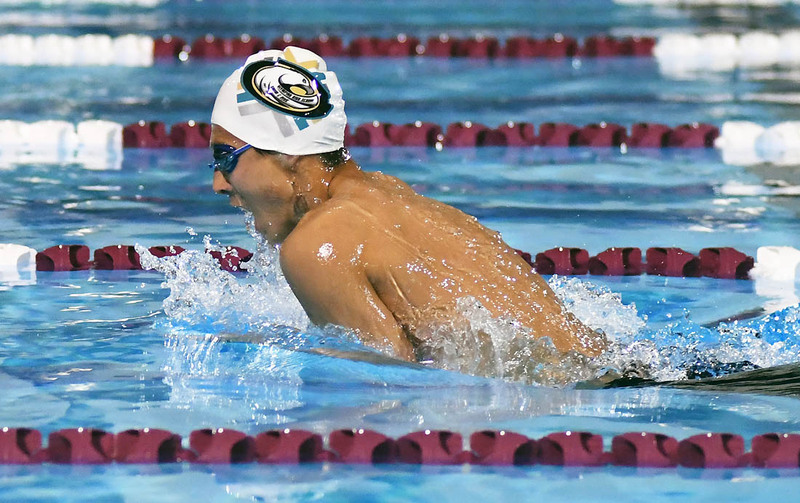 He swam for SBA for five years before competing in high school. 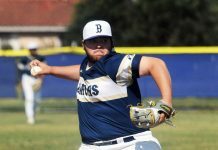 He recently graduated from UC Santa Barbara where he competed two years on the school’s NCAA Division I swim team. 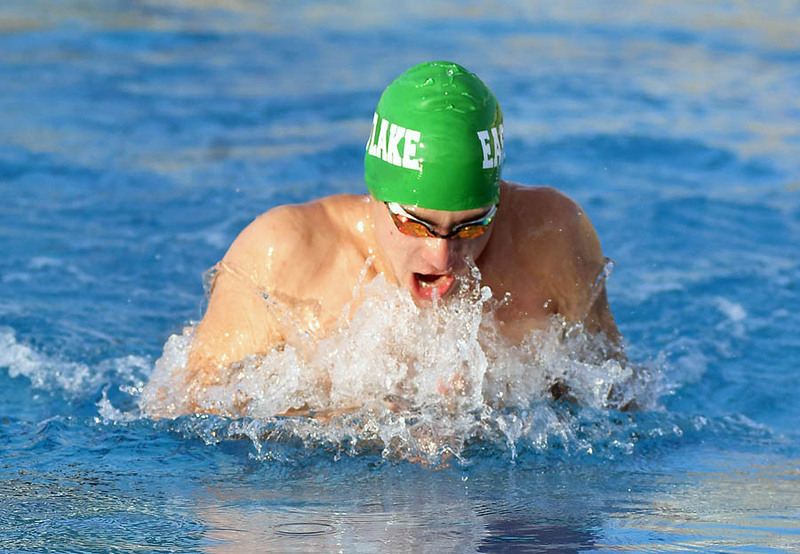 Randazzo, a financial mathematics and statistics major at Santa Barbara, won league championships all four years he swam at Eastlake. “It was a great set-up for college,” Randazzo said. 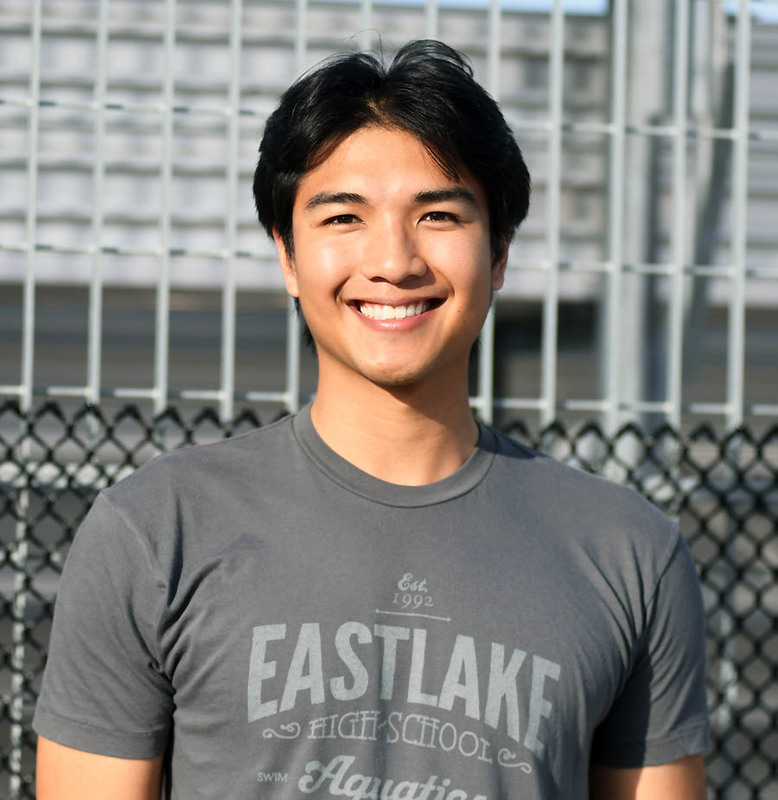 “I had a lot of good teammates at Eastlake. Prominent Titan alumni Jian Miclat and Jack Fischer joined Lundgren and Randazzo at last Friday’s event. Miclat (EHS class of 2013) graduated from Cal Poly San Luis Obispo in 2017. He was a four-year league champion in high school, mastering the 50 and 100 freestyle events. 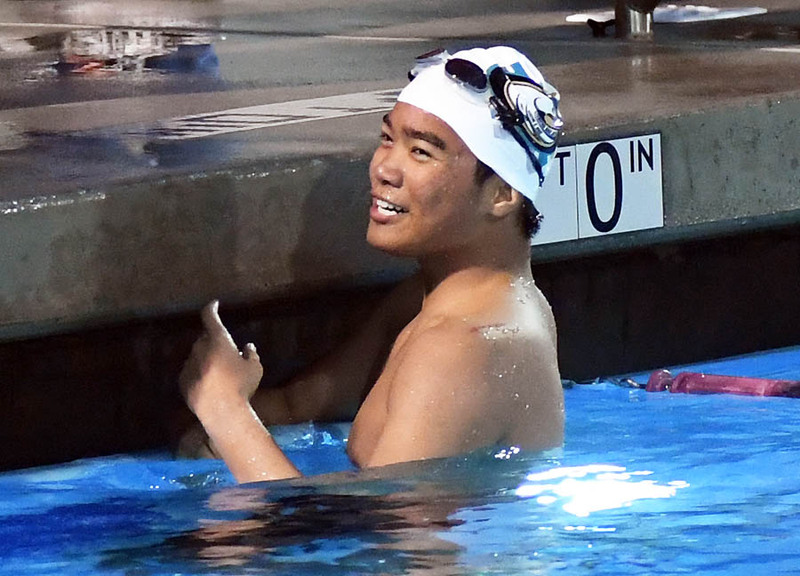 He finished third in the 50 freestyle at the Division I CIF finals. 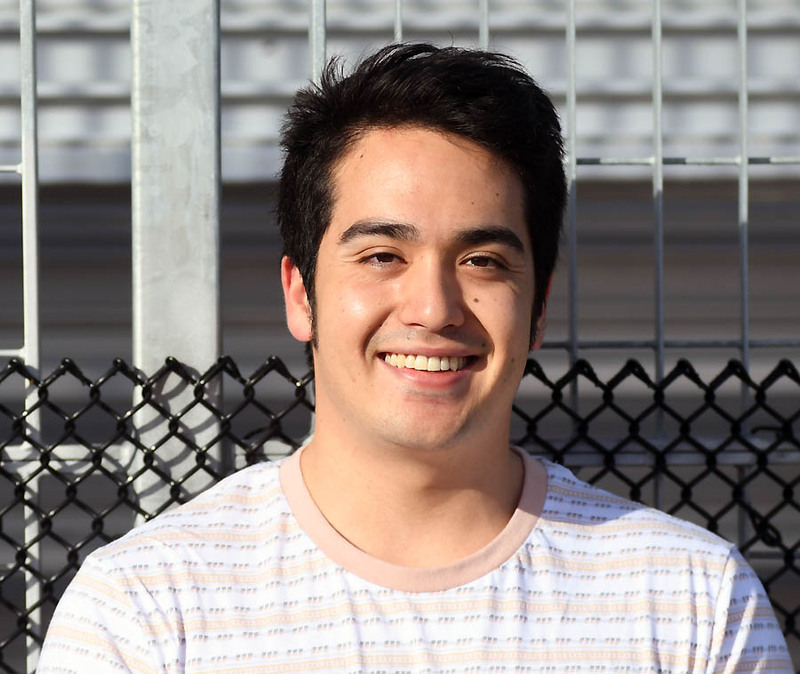 Miclat, whose sister Jana was unable to attend last Friday’s alumni meet, said what he remembered most about his days as a Titan were “the unique dry land” practices. “We felt like we were on an endurance run, running many miles before practice, but we were in great shape,” he said. 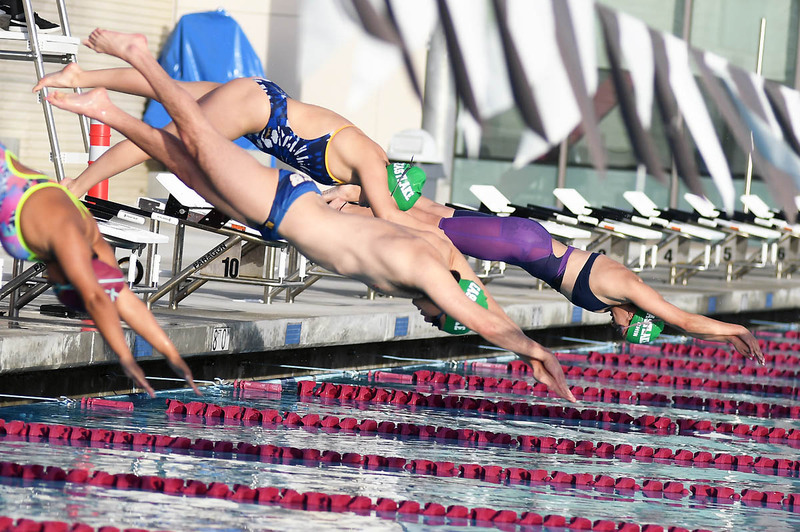 Fischer won the 50 freestyle event at the Mesa League finals in 2017. 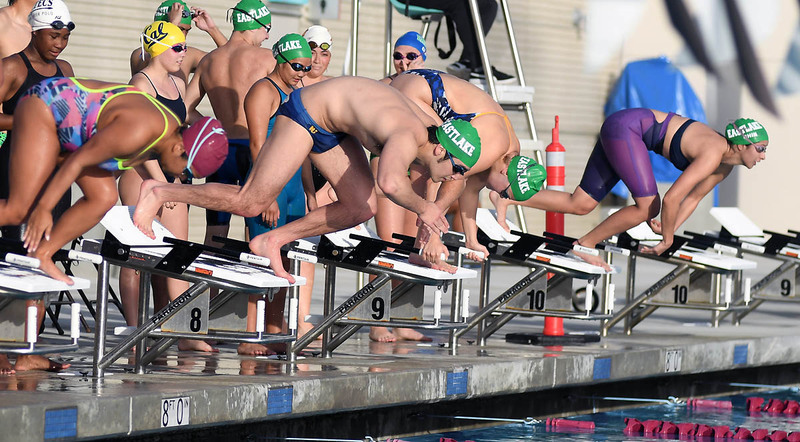 He is currently competing at San Diego Mesa College and could be back at the new SWC pool for the upcoming Pacific Coast Athletic swim championships April 18-20. The alumni felt flattered to have their own special event. The Eastlake High School swim team continues to excel against San Diego Section competition after recording a second-place finish for its girls team and a sixth-place team finish for its boys team at last Saturday’s Mt. Carmel Invitational. 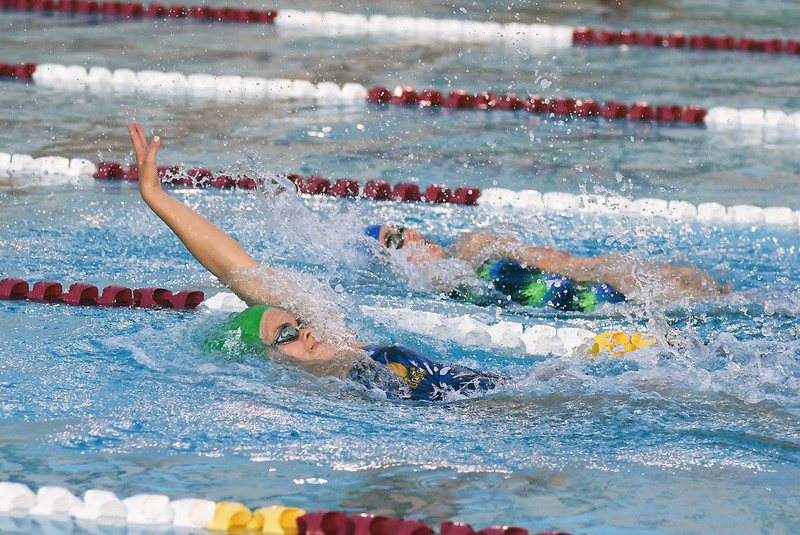 The Titans had a large number of swimmers qualify for the finals. Freshman Emily Lundgren won the 100 breaststroke by setting a meet record and school record of 1:03.50. She eclipsed her own school record in winning the 200 individual medley in 2:06.45. Mirsha Lora finished third in the girls 500 freestyle in 5:18.66. 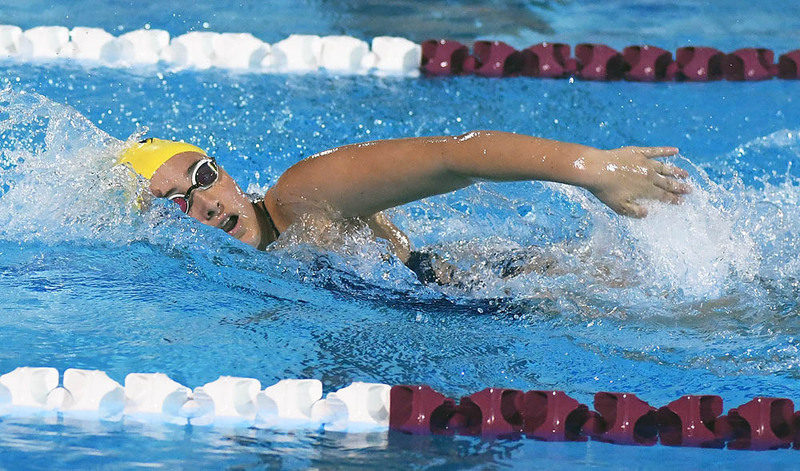 Cecilia Hagewood placed fourth in the 50 freestyle in 25.06 and fifth in the 100 breaststroke in 1:07.88. 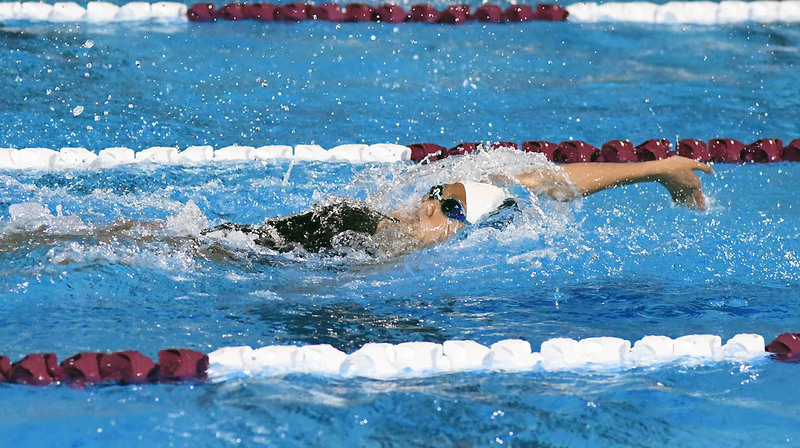 Aranza Martha finished fourth in the 100 freestyle in 56.82 and sixth in the 50 freestyle in 25.7. Erin Gidney finished seventh in the girls 500 freestyle in 5:32.66. 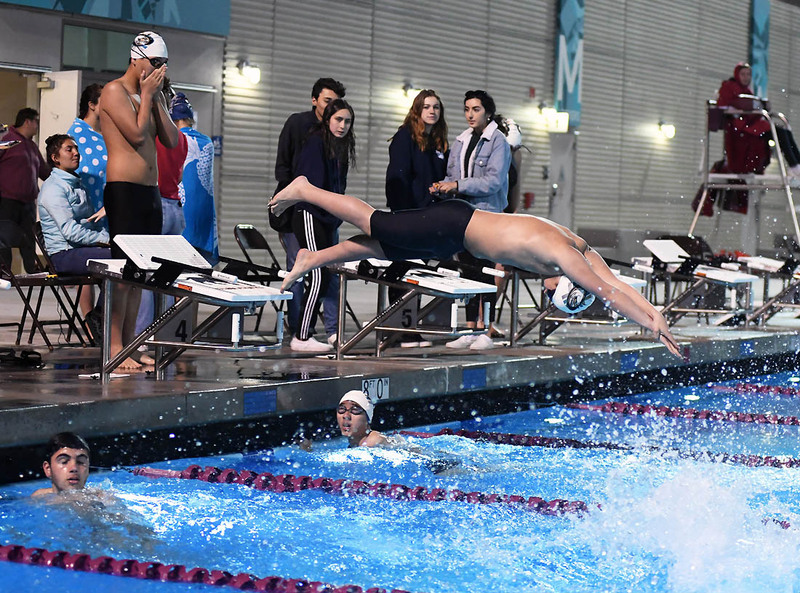 On the boys side, Nate Bjornstad finished third in the 100 breaststroke in 1:01.00 while Emilio Camarillo placed third in the 100 butterfly (a personal record 53.05) and fourth in the 200 IM (1:59.20). Skylar Kinney finished fifth in the 100 butterfly in 53.45. 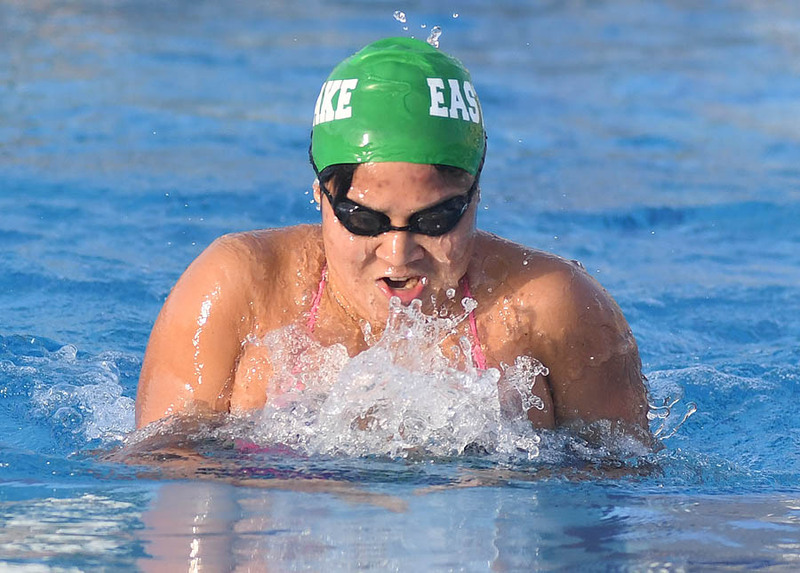 Eastlake finished second in the girls 400 freestyle relay (3:42.80), fifth in the girls 200 medley relay (1:56.06), sixth in the boys 400 freestyle relay (3:20.52), seventh in the boys 200 medley relay (1:46.09) and seventh in the 200 freestyle boys relay (1:33.37). Eastlake’s B team finished sixth in the girls 400 freestyle relay in 3:55.44. Eastlake will compete in a pair of Mesa League dual meets next week: April 9 at Mater Dei Catholic and April 11 against Otay Ranch at Southwestern College. 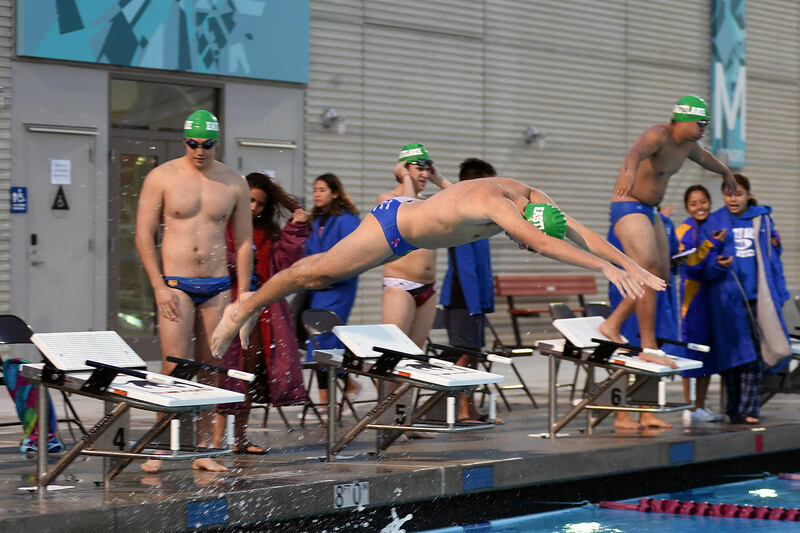 Olympian swept a Mesa League dual meet against Bonita Vista March 28 at the Southwestern College pool, winning 126-55 on the girls side and 121-55 on the boys side. 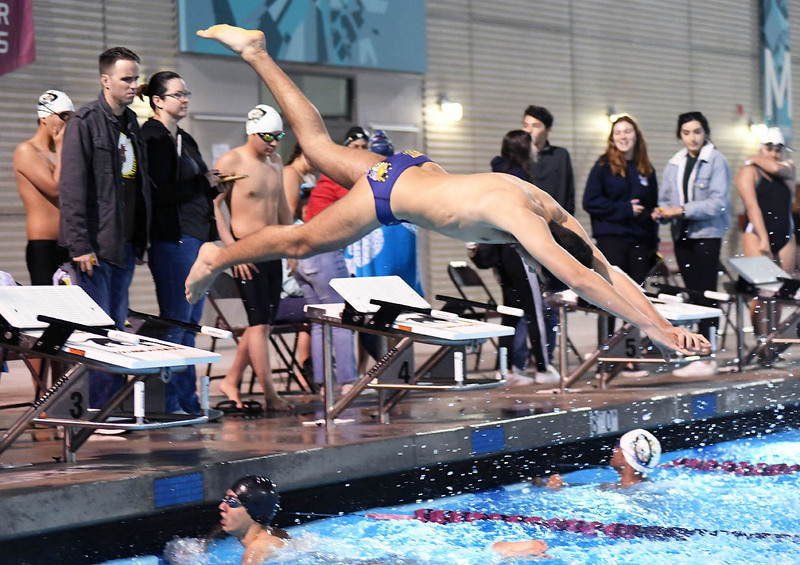 High scorers for the victorious Eagles included Shane Sebree in the boys 200 freestyle (2:04.11) and 100 breaststroke (1:11.83), Jordan Laxa in the boys 50 freestyle (25.07) and 100 freestyle (57.69), Grace Hill in the girls 100 butterfly (1:10.26) and 100 breaststroke (1:20.65), Sara Gracia in the girls 200 freestyle (2:14.21) and 500 freestyle (6:03.07) and Anikka Ongteco in the girls 200 IM (2:30.95) and 100 backstroke (1:05.14). Alehtse Cinco scored 201.3 points to win the girls diving competition while Erik Duarte won the boys dive card with 184.25 points. Montse Sanchez finished second in the girls dive card with 144.45 points. Olympian captured first-place finishes in 10 of the 12 girls events and nine of 12 boys events. 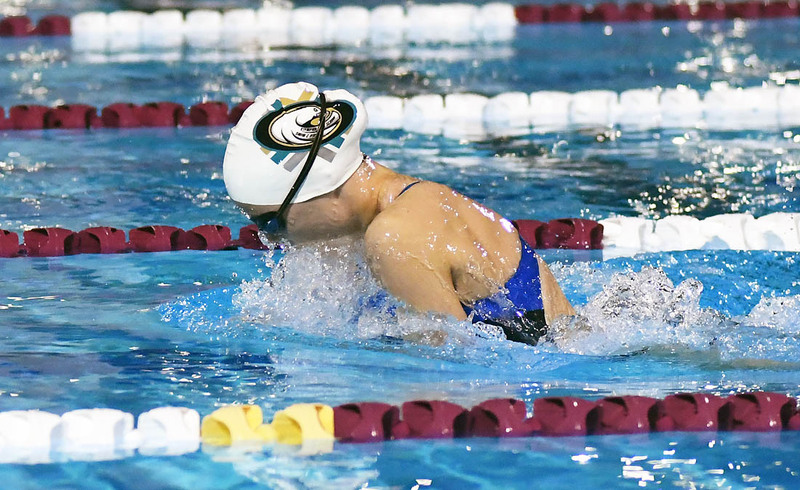 The Eagles took firsts in the girls 200 medley relay (2:10.05) and 400 freestyle relay (4:48.01) and boys 200 medley relay (1:53.64) and 400 freestyle relay (3:52.14). 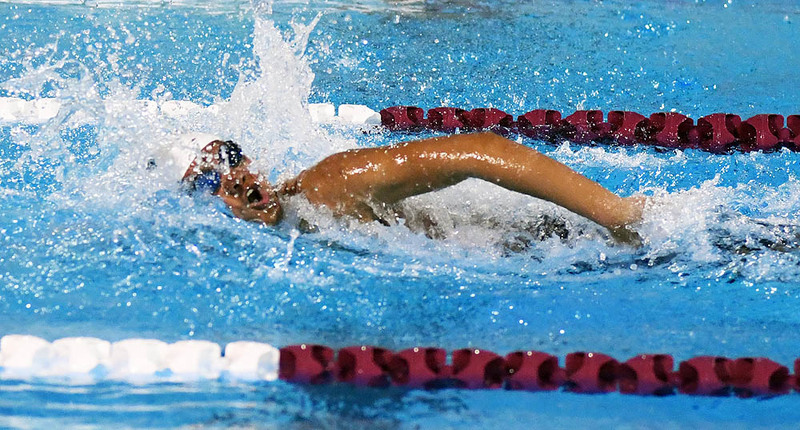 Other event winners included Karla Padilla Leon in the girls 100 freestyle (1:03.97), A.J. Asuncion in the boys 200 IM (2:15.7), Kevin Schwartz in the boys 500 freestyle (5:29.64). 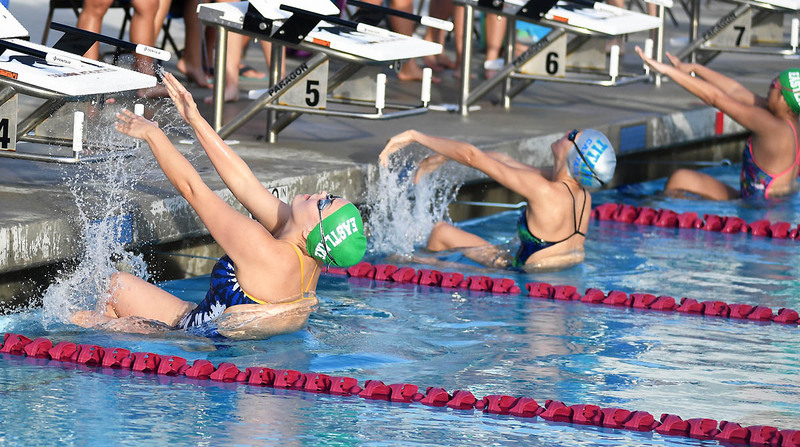 Bonita Vista captured first-place finishes in the 50 freestyle (Meagan Slovatizki in 29.44) and 200 freestyle relay (2:04.76) in the girls meet and 100 butterfly (Ezra Aguimatang in 58.21), 200 freestyle relay (1:45.97) and 100 backstroke (Aguimatang in 1:00.19). 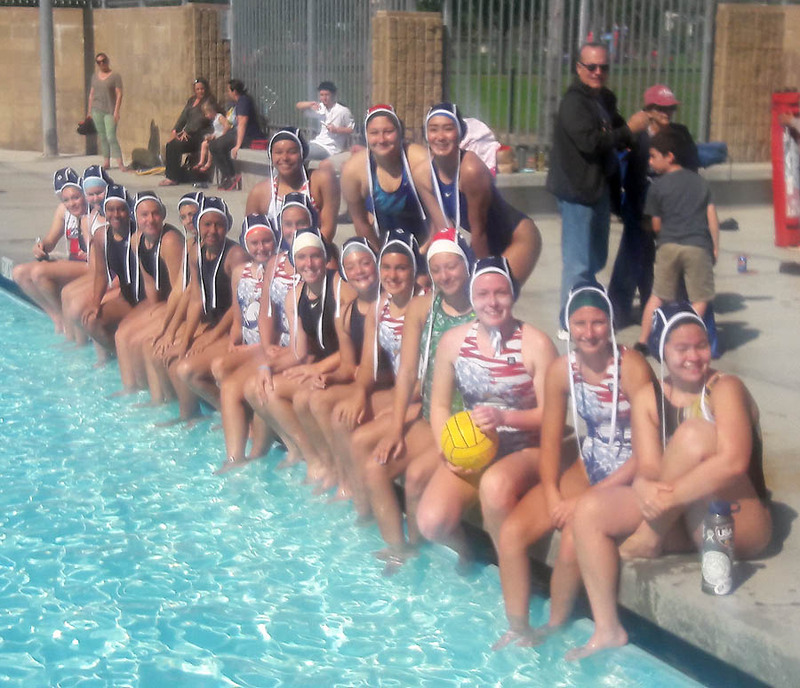 The Costa Del Sur/South Coast Water Polo Club won the 14U division at the Brea Invitational on March 16. 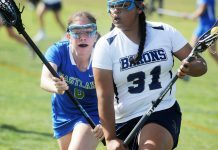 Costa Del Sur defeated Power Polo Laguna, 16-4, host Brea by a score of 17-7 and Thunderbird Yucaipa by a score of 18-2 to finish the tournament with a 3-0 record. 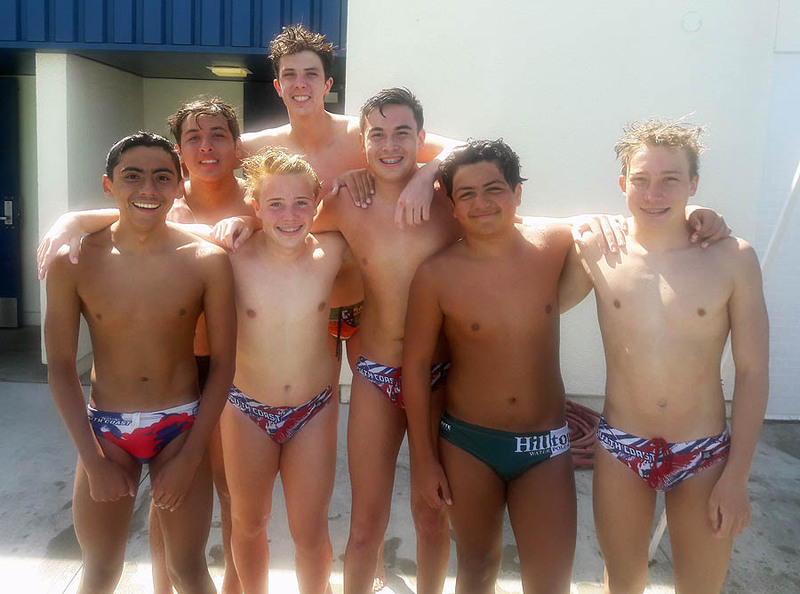 Costa Del Sur/South Coast Water Polo Club’s 14U team went undefeated in three matches to win the recent Brea tournament. 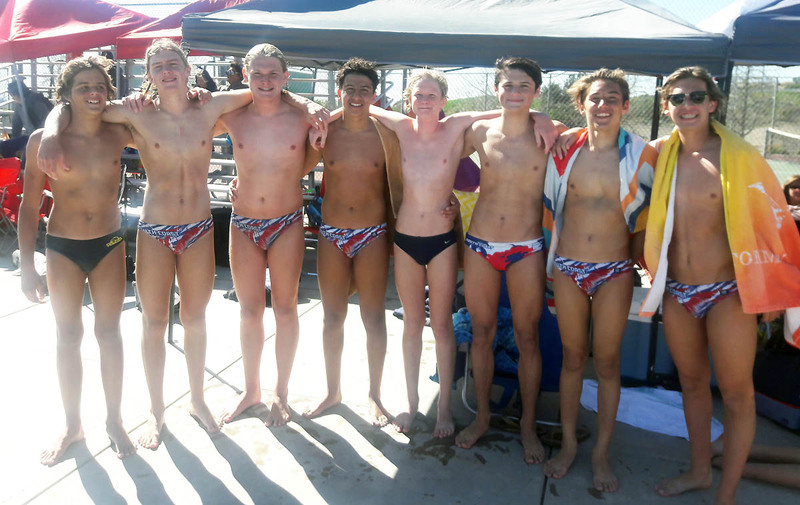 Costa Del Sur/South Coast Water Polo competed in Club Challenge on March 24 against East County Aquatics. Costa Del Sur won all age groups contested.